How do I sign up? Call us at 323-899-0171 to schedule an appointment. Walk-ins are welcome. Is there anything I should bring? Bring your driver's license, glasses, (if you wear them), and any medications you may be taking. Is there free Parking Yes. We are located in the 7/11 shopping center. FREE parking is available. Will I get a certificate to give to the DMV? 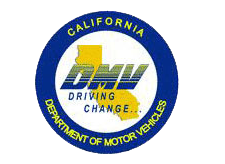 Yes, you will receive a certificate the same day of your examination for the DMV. Will I get a medical card? Yes,you will receive your medical card to keep with you at all times. Do You Provide after hour appointments? Yes we do. Our regular hours are: 9:00am-4:00pm Monday, Wednesday and Friday. Our “after hours” rates apply after 5:00pm, Monday-Friday, and weekends. Our after hour rates are $100.00. We do require an appointment and prepayment for DOT exams conducted after regular business hours. Once you arrive at our facility, you will be greeted by one of our assistants. You will be required to fill out our patient medical history forms, provide a copy of your current DMV driver’s license. 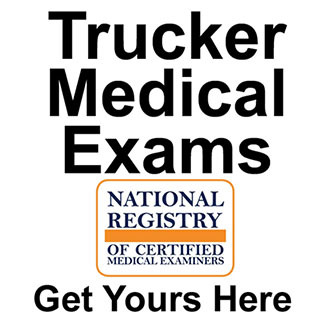 A complete medical DOT CDL Physical Exam will be performed by a licensed medical professional (NCRME).To expedite this process, you can bring a DMV CDL Medical Examination report with the first page of the medical health history portion already completed. If you wear glasses or contacts, please bring them with you. If you are taking any medications please bring all medication bottles with you to your appointment. Also, we need your current doctors information and any supporting medical documentation or clearances from your primary care doctor for any medical conditions you are being treated for. Be prepared to do a urinalysis. We check for the protein, blood, sugar, and specific gravity in your urine. Drug testing is available if necessary. DO NOT drink coffee, or energy drinks, or ( anything containing caffeine on the day of your exam. Caffeine consumption may spike your blood pressure. A two year certification requires a BP reading of 140/90 or better. Complete your DOT Physical exam with us. We examine and evaluate head, eyes, ears, nose, throat, heart, lungs, abdomen, extremities, genitourinary, spine, musculoskeletal, and neurological system. We complete your paperwork. Photo ID required. You get a DOT medical card for your CDL to keep with you at all times. You get 2 copies of the DOT physical form, one for your CDL, and one for your company. We will also fax the DOT physical form to your company free of charge. DOT exam is $50.00. Our payment options: cash, company bank checks or pre-authorized company account. 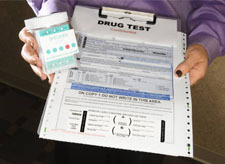 Drug alcohol testing is not included in the DOT physical exam. If you or your company request a drug test, we can do it at the same time your DOT exam is performed. DOT Drug Testing and blood alcohol testing are separate tests and separate charges. We do not perform Alcohol testing. Our current DOT exam hours are from 9:00 am-4:00 pm Monday, Wednesday and Friday.To ensure we’ll be available for you, please call 323-899-0171 to set up an appointment with us for your DOT Physical exam. After successful completion of the above, you will be provided with your CDL medical examination report and medical certificate. Any Commercial drivers that have a CDL (“Commercial Driver’s License”) or are attempting to get a CDL license, you need to have a medical exam called a DOT Physical. We will provide drug testing for a pre-employment, post-accident, self-screening, etc. We also conduct random drug test for employers, parents, guardians or domestic partners at our facilities. 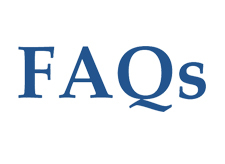 Click here to get all of your questions pretaining to the dot physicals, or drug testing answered.